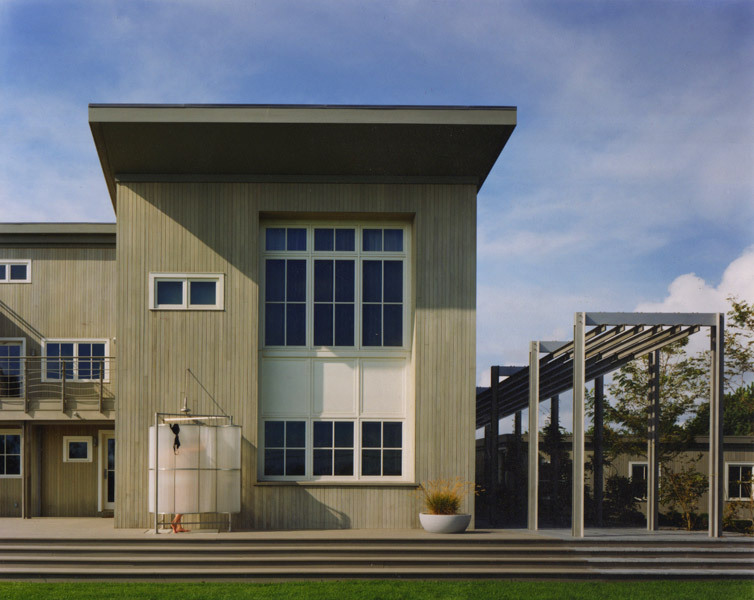 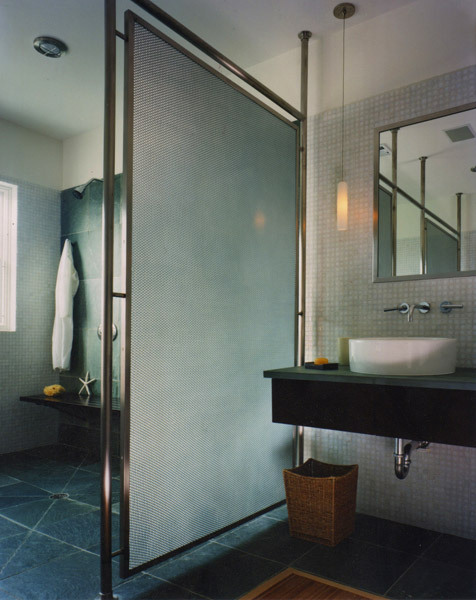 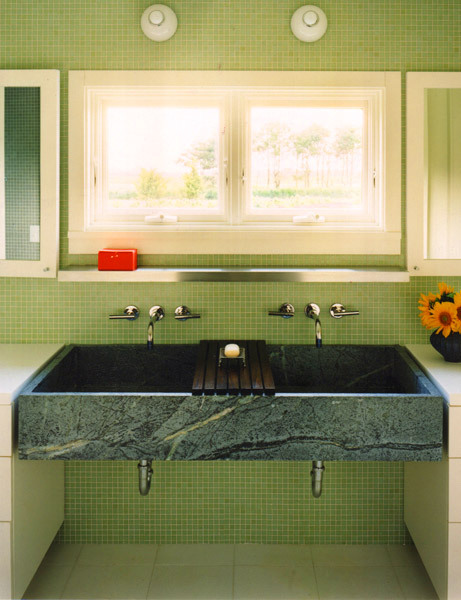 Completed as an architectural associate with Karen L Jacobson, Architects Studio, this project on the eastern end of Long Island, New York, consisted of a major renovation of a boxy beach house with a multitude of haphazard and illegal additions. 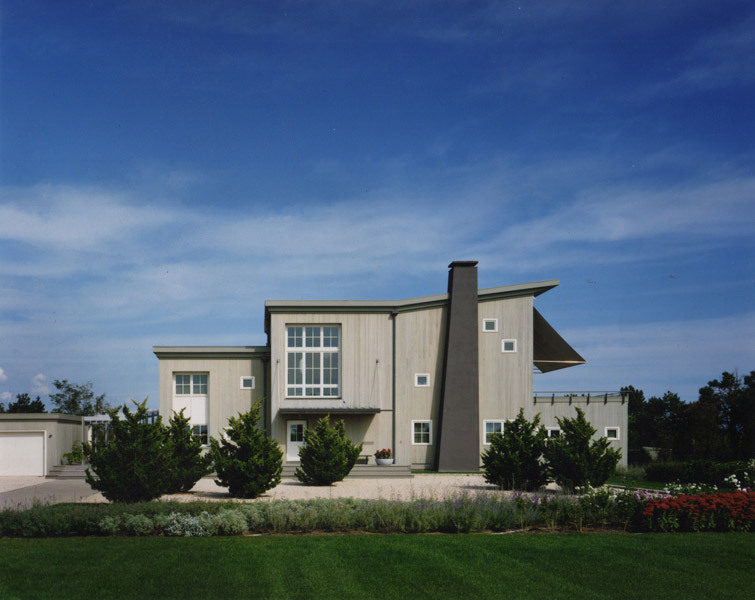 The new owners bought the property for its highly sought after Hamptons location near the ocean. 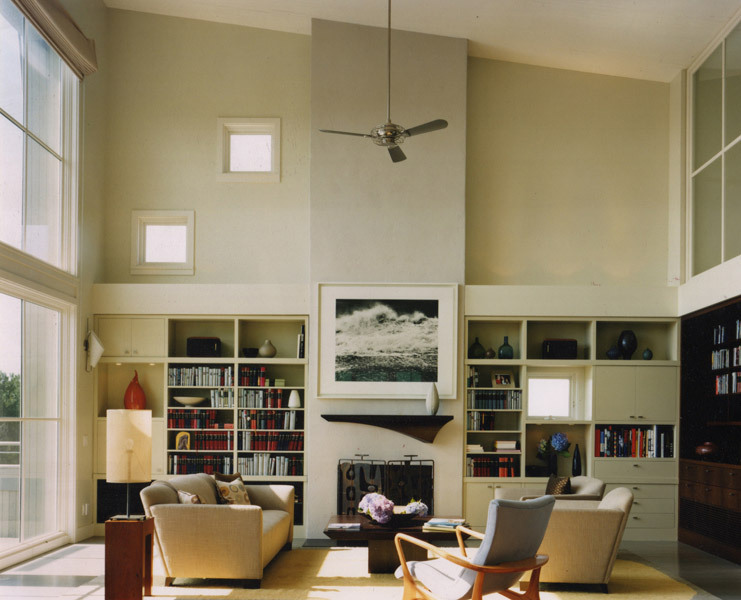 The design issues revolved around retrofitting the house to meet the new owners’ needs, opening the house up to let in the natural light and sea air and creating a more open plan that was conducive to entertaining. 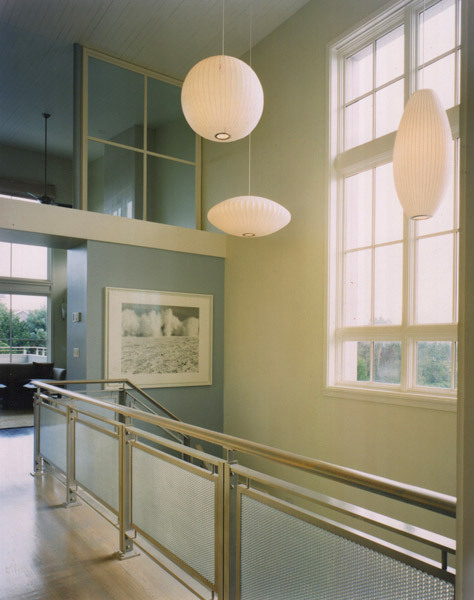 The house is tied together through the utilization of two new, gently upward sloping rooflines which are contrasted by a large downward sloping awning, similarly detailed, powder coated aluminum guardrails and two story window façade treatments. 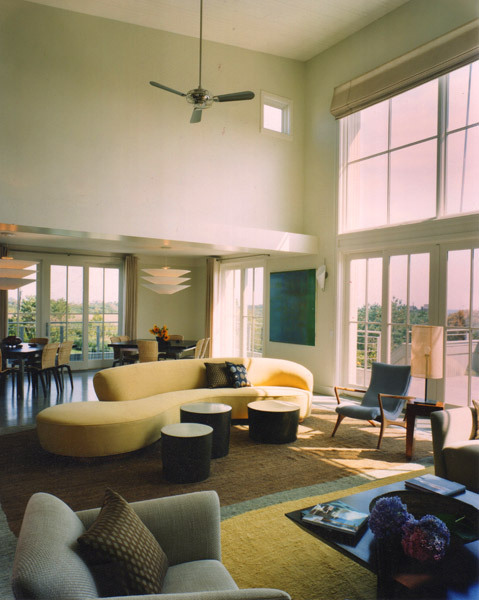 Through the addition of many oversized windows and sliding doors, the dark, dank interior of the original house was transformed into a bright, vital interior soaked with natural light and sea breezes. 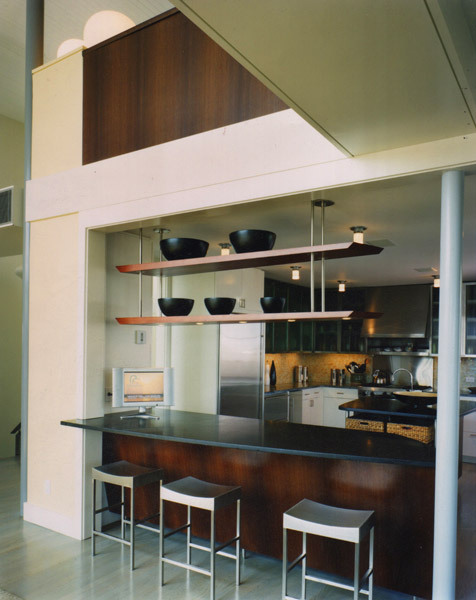 By removing interior walls and allowing spaces to flow into each other, along with creating the many outdoor decks and balconies, the interior spaces were converted into a singular free flowing structure that provides both a sense of connectedness and privacy that is ideal for living and entertaining.